The Alaska Division of Motor Vehicles Office is responsible for overseeing the issuance of all Driver Licenses in the state, as well the Identification Card issuance in Alaska. The offices around state for Alaska DMV are responsible for renewals, vehicle titling and registration. 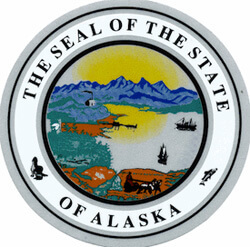 See the listings above for Alaska DMV offices. The official site of Alaska DMV shows you the different areas around the state they have opened offices and what their timings of operation are. You can check at each location whether they offer vehicle inspection, road tests by appointment and so on. These apply for both commercial and non commercial vehicle affairs. The motto of the online service section of the Alaska DMV Offices site says online equals no line, and then a myriad of tasks that you can complete without having to drive all the way to the office. So before you get ready for any of the things regarding your car’s paperwork look it up. The DMV site lets you request your Driving Record. You can renew your vehicle registration directly from the site, if you have moved you can change your details for the office, order personalized plates online, schedule a road test, and even use this portal to register to vote. There are forms for drivers for renewing licenses, reporting vehicle crashes, and even accessing helpful resources like Defensive Driving Learning Courses. The online site also lets you make basic registrations online. Users can also go through the correct process in the event you lose your registration plates. Special registration needs are also catered to here, including registration for snow machines and boats. In addition to that there is a whole page dedicated to the procedure for obtaining title for a vehicle. In Alaska, you must transfer the title within 30 days of the purchase of a vehicle.